Making your Facebook Page a local business is an excellent way to help people in your area find your business. It’s a beneficial option that’s worth considering when making a Page for your business. 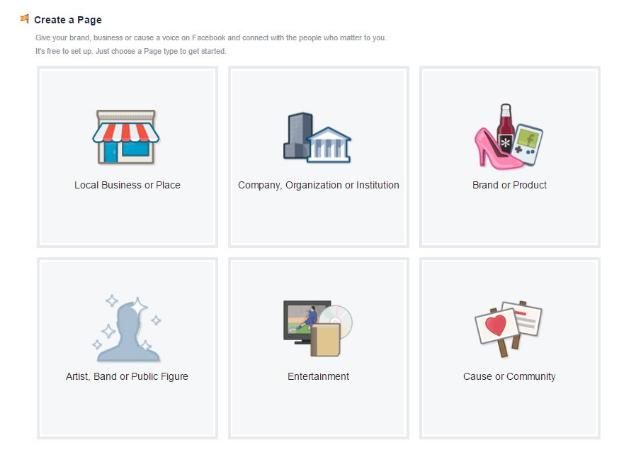 First you have to create a Facebook page – go here and choose the category of your new fanpage – make sure to pick ‘Local Business of Place’. Select a specific category from the dropdown menu and fill in the blanks. After hitting ‘Get started’, you can enter additional information about you business. 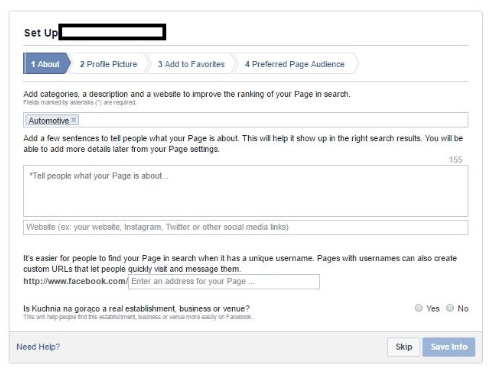 This will make it easier to find you on Facebook and through web searches. 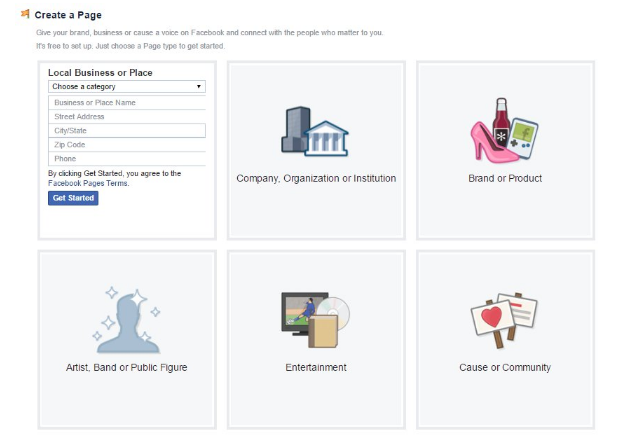 Next step is choosing profile picture for you Page – your logo, a picture of you local, or your mascot. The photo should be 180×180 px. 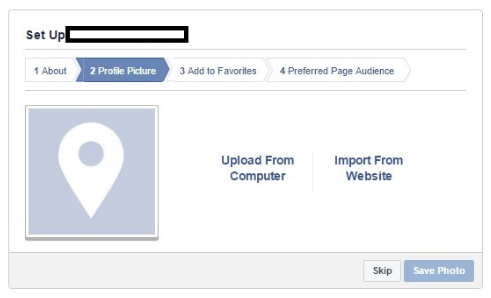 Add it to your favourites and make your Page easier to find for yourself. 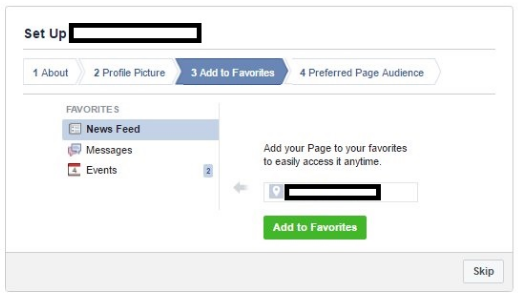 Your Page will be accessible in one click. Define who your preferred audience is. 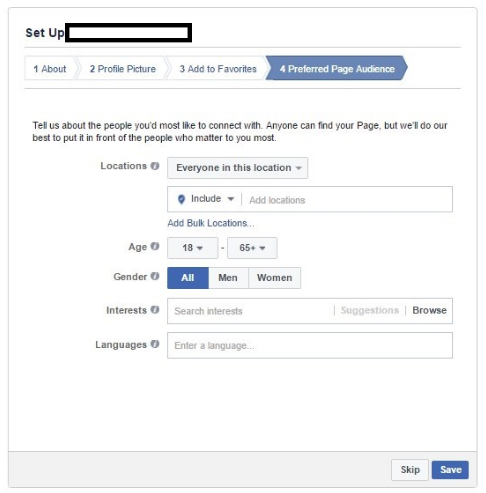 Fill out their demographic info to help Facebook get you more reach to the right users. 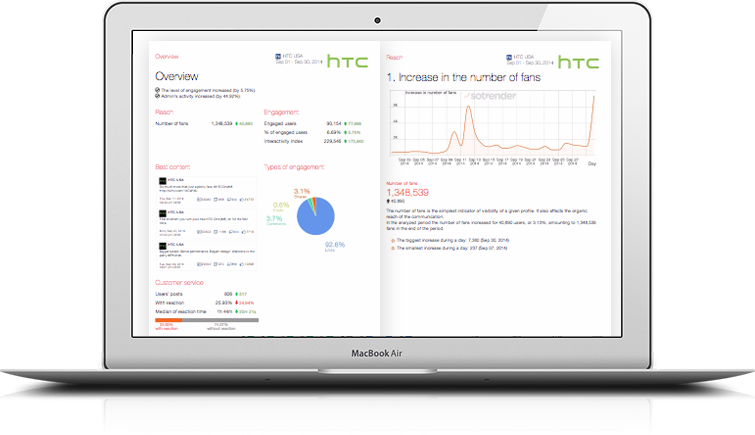 Note that you can change your page’s category an unlimited number of times. The only consequence is if you change it from the Local Business or Place category, you’ll lose your reviews, map, and check-ins.